I hope Laura appeals. However, the state GOP glad handers have already proven that the are sexist by opposing a women who may usurp their "good ole boy" power. I would like to think that in 2016, with 300,000 residents in Hamilton County that the old school GOP would be more forward thinking. Ha! Chicago politics does not have anything on Hamilton County politics. People think it is not important to fill those precinct spots until someone resigns, dies (or as is likely here in Lake Co) goes to jail. If the spots were full of people who had been working all along, there would be no open spots to fill. Thanks for another great post. We have a dem caucus coming up here on Wed. Will be interesting. Doing that with the current rules are an enormous task, especially in a county like Marion. You have to find 600 people to run all who live in each precinct in Marion County. (Without a primary voter list mind you and with precincts that are devoid of virtually any Republicans.) You have to remind them that they have to immediately appoint a VPC, in writing, or lose that vote to the chairman. You have to convince them to stay in a thankless job for four years. Even at best, you'd be lucky to fill about 50% of the slots. It's a virtually impossible task. Allow me to share my up-close-and-personal experience. I have been appointed PC in Marion County (I lived in the Ward/Precinct) and when I realized the township chair could fire me at will I subsequently filed and ran. I have been elected PC in Marion County with my township chair's blessings, and one of those times without any township chair blessing [when the ever-gracious, warm, and welcoming BF was alive]. Let me tell you first hand that if you file, run, and are elected PC without kissing the ring, "The Party" will do everything in their power to ostracize and marginalize you. Oh, you will get notifications of calls to caucus but you will not be welcome, you will not be spoken to at township clubs, and you will never ever be allowed more than the very minimum your elected status affords you. I cannot tell you how often that nasty old woman drove by my home to see whose yard signs were in my lawn and who I was supporting. God rest her soul but good riddance to an incredibly nasty, hateful person who did much to harm the "R" cause in her east side township. But Good God, she sure could carry the water for Kyle Walker and his wife Jennifer Hallowell Walker. I called her Stepin Fetchit Jr. I know all about the history of factions in Marion County taking over through the election of a new county chairman. What you're missing is the rules changes following your experience. In 1982, Indiana law governed the election of the county chairman and other county party officials. The PCs were elected every 2 years in May and every 2 years those elected PCs would attend the county convention in June to elect new county officers for the party, including the chairman. THE ONLY PEOPLE ALLOWED TO VOTE WERE ELECTED PCS. NO PCs APPOINTED BY THE COUNTY CHAIRMAN COULD VOTE DURING THE COUNTY CONVENTION BECAUSE APPOINTEES WOULDN'T MEET THE 30 DAY REQUIREMENT. So to get rid of a county chairman, you actively recruited people to run for PC and voted for a new county chairman. It was a very democratic process. In 1986 and 1987, the Indiana legislature passed the "Sweezy Forever" bills. John Sweezy was the long-time Republican county chairman at the time. Sweezy had been part of the Keith Bulen faction which had taken over the party through the process just described." 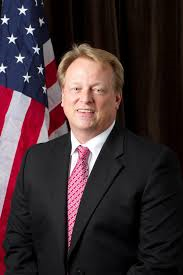 What the Sweezy forever bill did was to place the election for PC and county chairmen on 4 year cycles and to put the election for county chairman in March, nearly 3 years after the election of the PCs. So for the first time PCs appointed by the county chairmen could vote on the election of the county chairmen. So under the new rules the county chairmen could pick his own voters! Eventually the statutes were repealed and replaced by party rules which did pretty much the same thing. Along the way, the vice-precinct committeemen were also given the right to vote. Under the rules, the elected PC gets to pick the VPC, but the PC loses that right and the appointment goes to the county chairman, if the PC does not certify in writing the PCs choice for VPC within a week. (I think the Ds have an even shorter time period. So now in Marion County, there are 1200 possible votes for county chairman. (600 PCs and 600 VPCs.) Generally about 10% of the PC slots are elected. I would guess that maybe 5% of VPC (probably less) have been appointed by the PC instead of the county chairman. Doing the math that means 540 + 570 = 1110 of 1200 are votes controlled by the county chairman. The number of elected PCs has declined substantially as the Marion County party leaders doesn't want people to run for PC and all but discourage it. But even in the heyday of the old system, you'd be lucky to find someone to run for PC in 50% of the precincts. But the key is now that appointed PCs (and VPCs) can vote when before it was just elected PCs. Things are less subject to manipulation in other counties where there are more Republicans. But in a county like Marion, you have a ton of precinct where there are few if any Republicans. All the county chairman has to do is appoint people to those precincts (as PC and VPC) and other the rules the appointees can live anywhere in the county. Those people appointed solely to vote a certain way during a slating or caucus are called "mummy dummies," a term coined, I believe, by former State GOP Chairman Rex Early. The bottom line is that now, unlike before, the party county chairmen have huge numbers of appointed PC and VPC slots that can be appointed to influence results. Before it was just elected PCs voting. One interesting point of the "rules" for Saturday's caucus was that they were explained and then ignored. Specifically, we were told the time limits that would be applied to the four speakers and that they would be cut off if they exceeded the time limits. All was in order until Pete Peterson (affectionately known as "re-Pete") went over his 3 minute allotment by about 25 seconds before there was any hint of a possible enforcement of the time limit. Overall, the event proved disappointing to those who thought the Party might want a fair and equitable selection process for the county chairman. It will be interesting to see if there is any meaningful attempt to unite an organization that has been dis-united in the last few years. What Paul's described in his 10:59 post is akin to the Democrat strategy of allowing illegals (non-citizens) to vote. What's the difference? The "Republican" party huh?